"Lucy," Trish said, grabbing her arm, "we absolutely cannot let you spend your entire year in Paris moping over your old boyfriend!" Lucy just sighed, and allowed herself to be led away from the photography class in the Tuileries, past the Louvre and onto the rue de Rivoli. "He's not my old boyfriend!" she insisted. "I love Peter." Isabelle linked arms with Lucy. "You should at least enjoy yourself while you're here," she added. "Even a little flirtation might make you feel better." "And we're going out dancing tonight!" Trish said, laughing. "You have to have some fun!" "Lucy," Isabelle added. "You know you can't spend every night sitting alone in the apartment,"
"Oh yes, I can. My heart belongs to Peter." Trish rolled her eyes and gave Isabelle a look as if their friend was a hopeless case and a very foolish girl indeed. But the truth is, Lucy loved Peter. Originally they were supposed to travel to Paris together, but then he was accepted into Columbia Ph.D. program in geology and suddenly, he couldn't go anywhere. He had to stay in New York and work. This left Lucy heartbroken, but at least she had her good friends, Isabelle and Trish. And she had her camera. Her Rolleiflex camera was always a trusty friend. Her grandfather had given it to her when she first became interested in photography. 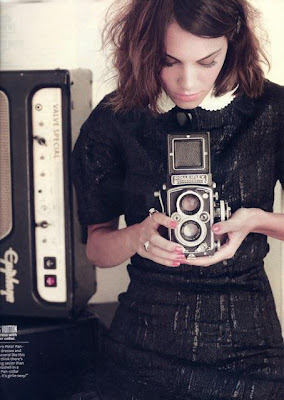 It was a vintage twin reflex camera and it always brought her good luck. In fact, the pictures she took with her Rolleiflex got her into the program in Paris in the first place. She did bring her digital Nikon too, but in truth, Lucy was a very old-fashioned girl and preferred old film cameras, as well as vintage dresses and antique jewelry. In fact, she even owned a Smith Corona manual typewriter. But no, she didn't bring that to Paris with her--too heavy! Even when she was a little girl, Lucy loved taking pictures. 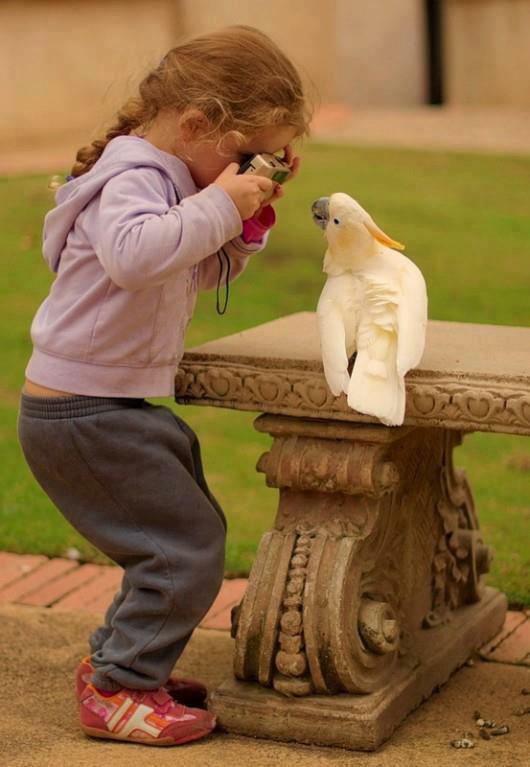 Her grandpa loaned her one of his smaller cameras and she found that his pet bird, Mrs. Vanilla Bean proved to be an extraordinarily good model. The bird loved posing and preening for the camera and would often squawk, "pretty picture!" 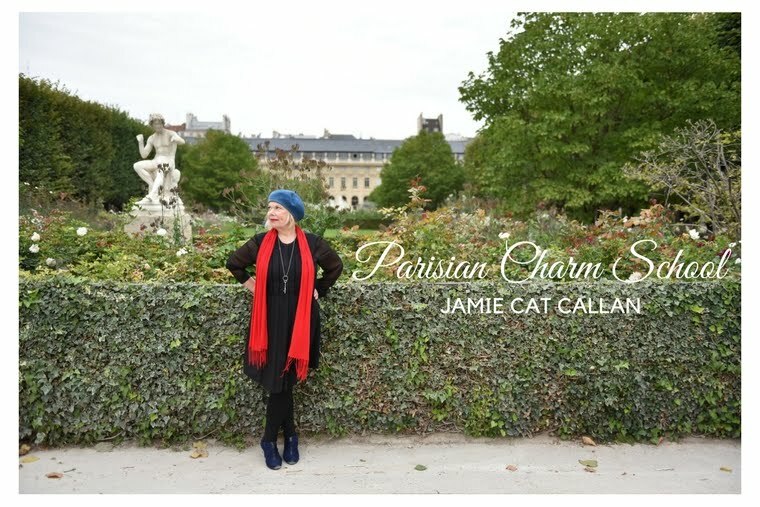 And now, somehow, as she looked up at the Paris skyline, she realized that this memory made Lucy feel terribly homesick and miss Peter even more, but she would not admit this to Isabelle and Trish. They seemed so cool and sophisticated and perfectly happy to be so far from home. Still, even after almost a month here, Lucy felt as if she was living in a fog. 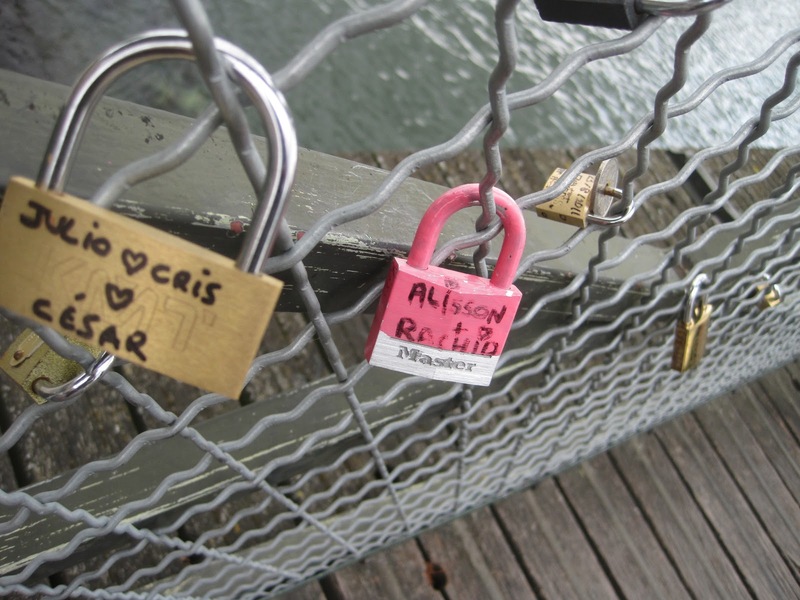 and Isabelle, who had been to France many times before, explained how French lovers, initial the locks with their names in magic marker and vow their undying love to one another, before throwing the key into the Seine. "I think it's lovely," Isabelle sighed. 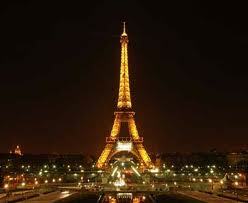 ...or how much Paris, the City of Lights tried to tempt her with all its seductive charm. On to the next installment!